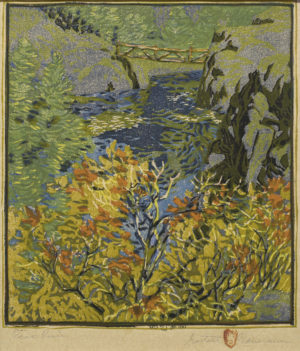 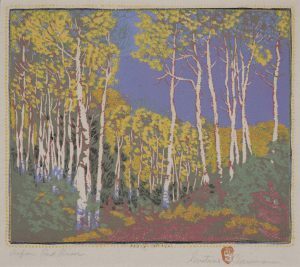 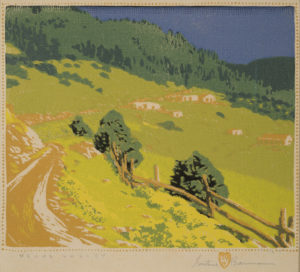 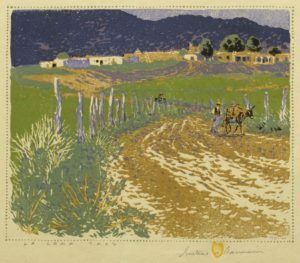 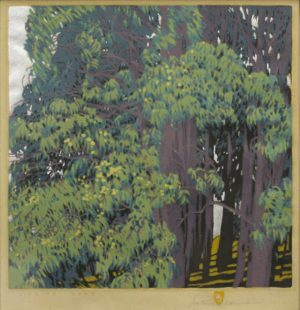 A master of the color woodcut, Gustave Baumann was born in Magdeburg, Germany, but moved with his family to Chicago at the age of 10. 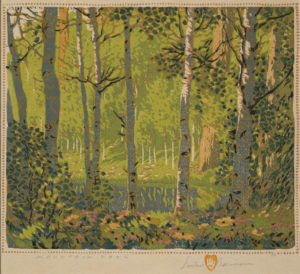 After study at the Art Institute of Chicago and work as a commercial artist, he returned to Germany in 1905 for a year’s study in Munich. 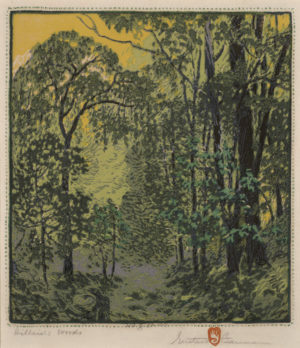 There he focused on the German technique of the woodblock print. 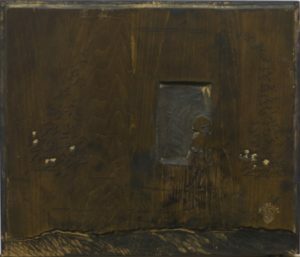 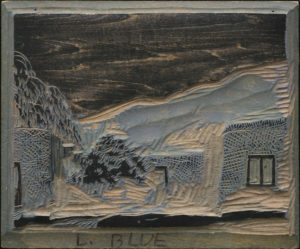 Baumann returned to work in Chicago, later joining artist colonies in Brown County, Indiana, and Provincetown, Massachusetts. 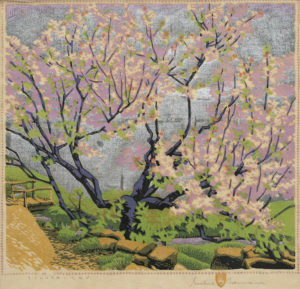 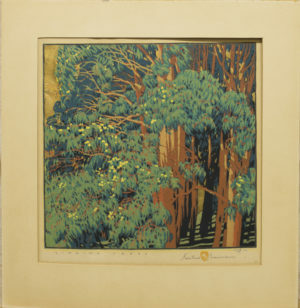 Upon winning the Gold Medal for printmaking at the 1915 Panama Pacific International Exposition in San Francisco, Baumann was asked to organize the first exhibition of American woodcut prints for the Art Institute of Chicago. 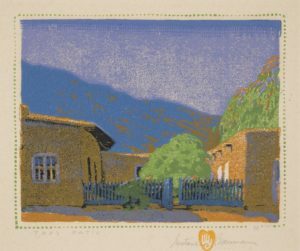 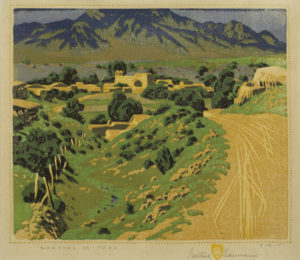 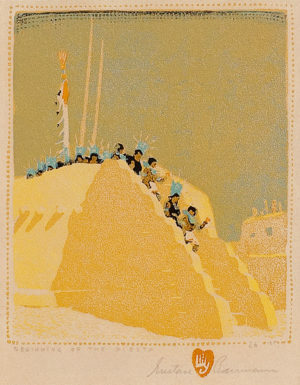 In 1918, Baumann visited his artist friends in Taos and planned a quick visit to Santa Fe where an exhibition of his prints was being held at the newly-opened New Mexico Museum of Art. 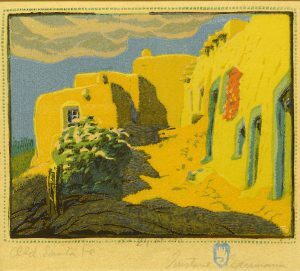 As a result of this visit, he decided to move permanently to Santa Fe. 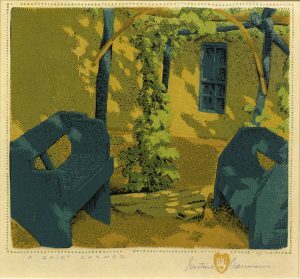 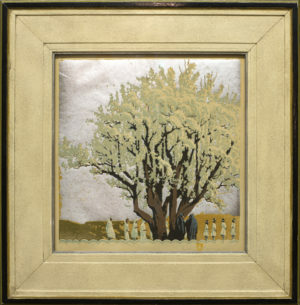 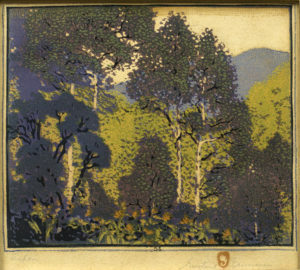 Gustave Baumann lived and worked in Santa Fe for the remainder of his long and productive career. 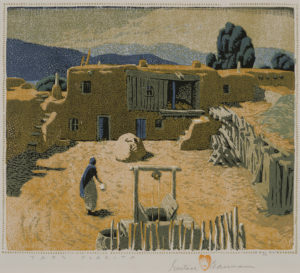 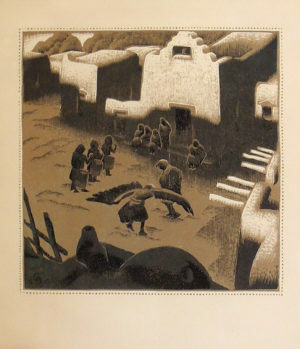 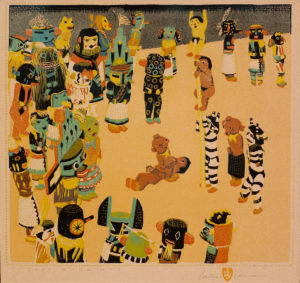 He was fascinated by New Mexico’s Native American traditions and incorporated many scenes based on this interest in his prints. 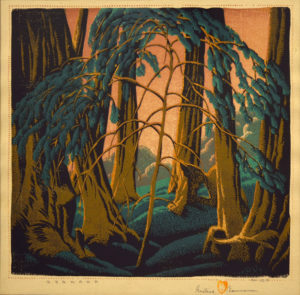 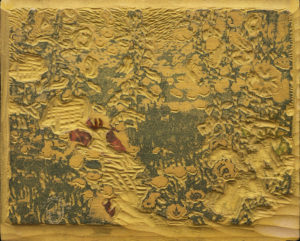 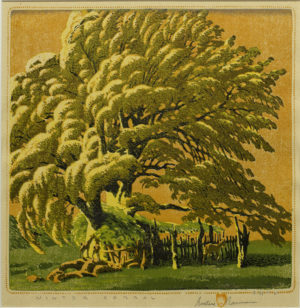 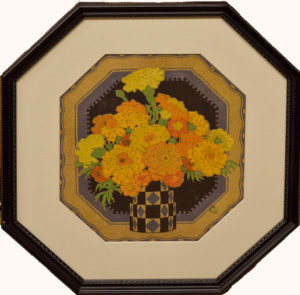 Today his colored woodblock prints are highly prized among collectors.